The G.AutoReel inertia reel is an excellent lightweight, compact solution. 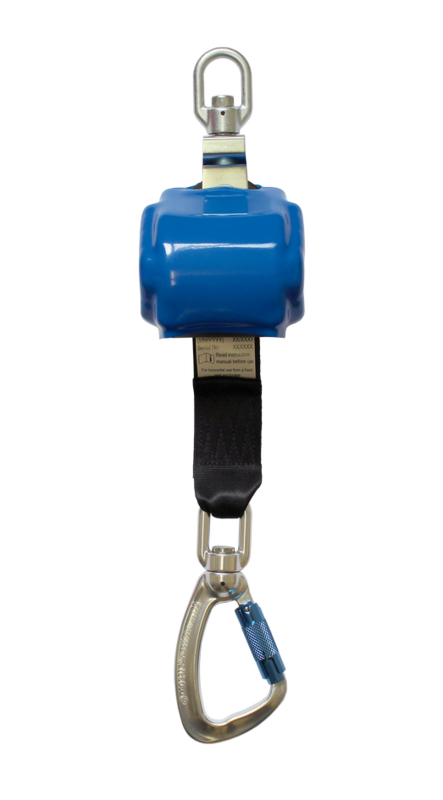 Weighing just 1.25kg (complete with karabiner), it is a fall arrester that can used as a safe alternative to a shock absorbing lanyard. The G.AutoReel inertia reel keeps the webbing lifeline taught against the user and eliminates the potential for slack webbing, which reduces freefall distance. A impact-absorbing casing gives good protection with high durability, and the unit features a shock absorbing element. The quick acting locking mechanism results in lower forces being exerted on the user’s body during a fall, thereby reducing the risk of injury. See our other fall protection products.